One of the richest basketry traditions in the world, the plaited objects produced in Borneo are created from plant materials gathered in the rainforest and worked by hand using techniques passed from generation to generation. Unrivaled in their combination of beauty, form, and function, they provide a unique window on the way of life of Borneo's inhabitants. Plaited Arts from the Borneo Rainforest recognizes this plaiting tradition as the primary creative expression of the peoples of Borneo, producing the most ingenious and aesthetically appealing material goods found on the island. 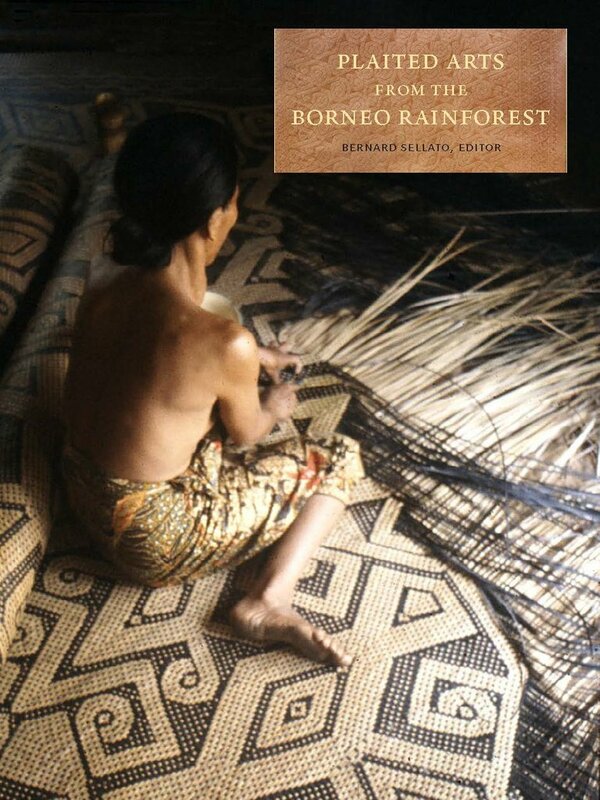 Using a contextual and interdisciplinary approach that connects botanical and technical features with economic, social, and ritual elements, the book explores how people in Borneo rely on plaited articles, whether for daily use or in the ritual sphere. The sophisticated sense of design, rich iconography, and complex social and ceremonial efficacy of these objects are unsurpassed. Elaborately patterned mats from the Ngaju people of southern Borneo, for example, portray the cosmos and are the most prominent decorative features of the Ngaju ceremonial cycle. The sun hats of the Kenyah, using a unique resist-dye technique, display patterns that were once taboo to all but the nobility. The exquisite plaited designs of Iban seed baskets, stained red with the prized "dragon's-blood" pigment. show the importance of the planting ritual for the vital and sacred rice crop. The contributors to this volume are among the world's leading authorities of the arts of Borneo. These twenty-scholars and artisans are from ten different nations, including Indonesia and Malaysia, and from Borneo itself: Sarawak, Sabah, and Kalimantan. Their original work is supplemented by a selection of texts written by three pioneer authors that describe Borneo basketry before the Second World War. The volume is divided into twelve parts that cover the complex role of basketry in Borneo societies, the ethnobotanical and technical aspects of basketry, the distribution of plaited arts by region, the past and current market for Borneo's plaited arts, and style and identity. The abundantly illustrated Appendix surveys the relation between the tropical environment and the material culture. Illustrated with more than 1,250 color photographs, newly commissioned maps, rare historical photographs, and detailed line drawings, Plaited Arts from the Borneo Rainforest is an essential addition to the libraries of universities, collectors, and scholars alike. Publication of this book is supported by Total E&P Indonesie as part of its Corporate Social Responsiblity program for preserving Indonesian cultural heritage. "Makers, collectors and curators of plaited work, as well as anthropologists and historians of Southeast Asian art, will find the book an essential reference, and many others will also enjoy looking at and learning about this rich cultural tradition." Contributors: Jean-Francois Blehaut, Hanne Christensen, Pascal Couderc, Susi Dunsmore, Roy W. Hamilton, Martin Lenjau, Robin Fedilis Lojiwin, Arne Martin Klausen, Arnoud H. Klokke, Valerie Mashman, Th. Mering Ngo, Heidi Munan, Patricia Nayoi, Janet Rata ak. Noel, Patricia Regis, Diana Rose, Bernard Sellato, Martua T. Sirait, J.C. Swayne, H.F. Tillema, Dianne M. Tillotson, and G.C. Woolley.